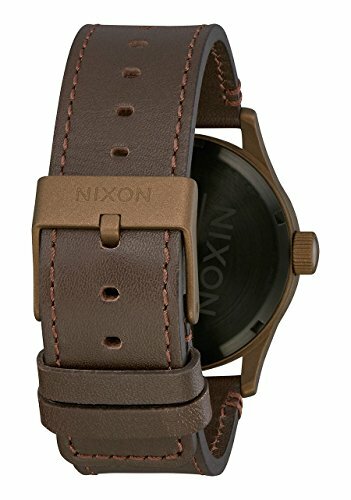 Nixon Sentry Leather Watch Bronze Cerakote Brown by NIXON at Helix Alumni. MPN: A105 2950. Hurry! Limited time offer. Offer valid only while supplies last. MOVEMENT: Miyota Japanese quartz 3 hand with day and date. DIAL: The dial features applied indices, printed seconds track, and custom molded hands. MOVEMENT: Miyota Japanese quartz 3 hand with day and date. DIAL: The dial features applied indices, printed seconds track, and custom molded hands. CASE: 42 mm, 100 meter / 10 ATM , custom solid stainless steel case, hardened mineral crystal, triple gasket crown with enamel fill, stainless steel screw down caseback and spring pin lugs. 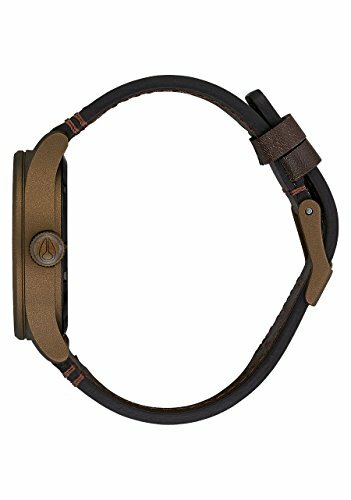 BAND: 23 mm fill grain custom leather band with stainless steel buckle. 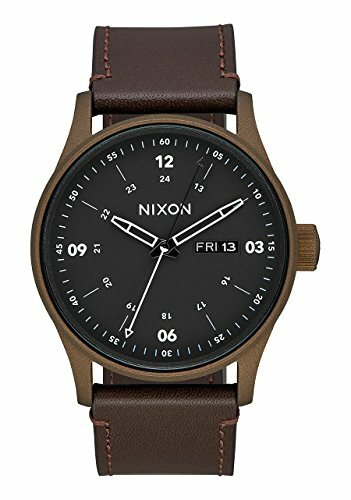 If you have any questions about this product by NIXON, contact us by completing and submitting the form below. If you are looking for a specif part number, please include it with your message.